Smoke gets in your eyes: the old plough-disk barbie. Now, the hardest part – resisting temptation and waiting before unwrapping. Another assignment is completed and installed. 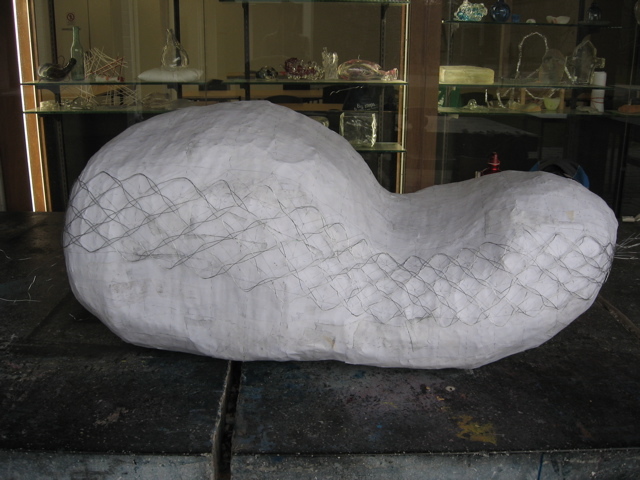 It was a process of trial & error, and very low tech (papier mache & wire). 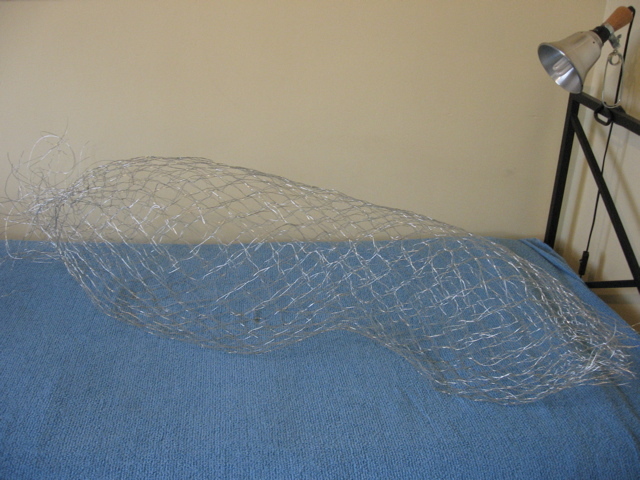 Completed bird-netting armature, before papering over. 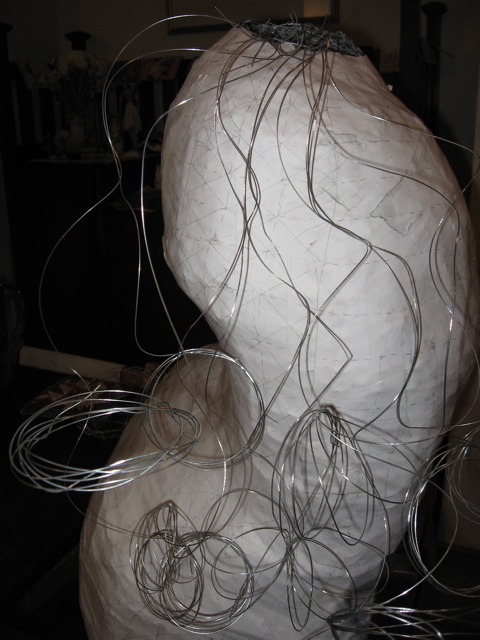 Upright armature, overlapping layers of netting. 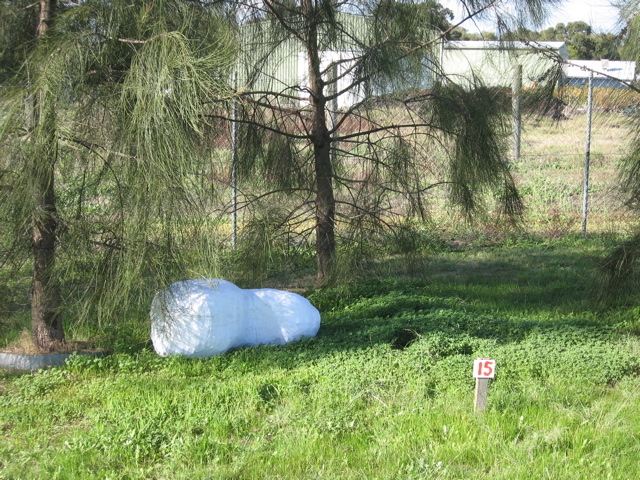 Testing the paper-covered form on site. 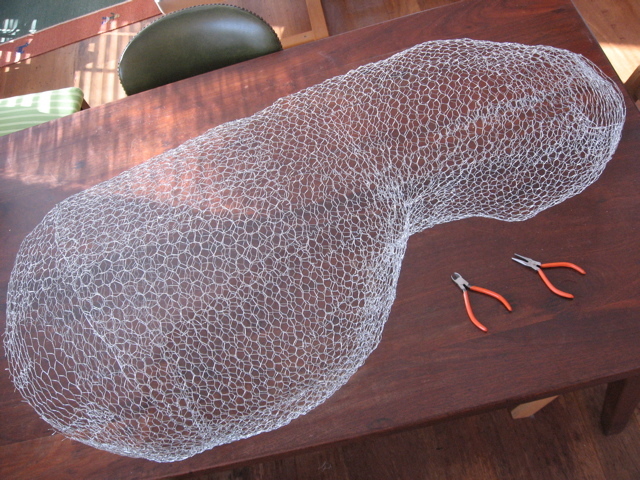 Starting the first panel of wire lace. By the time I’d done the seventh panel, I’d worked out how to control the tangle. Next time, I will do fewer, wider panels. 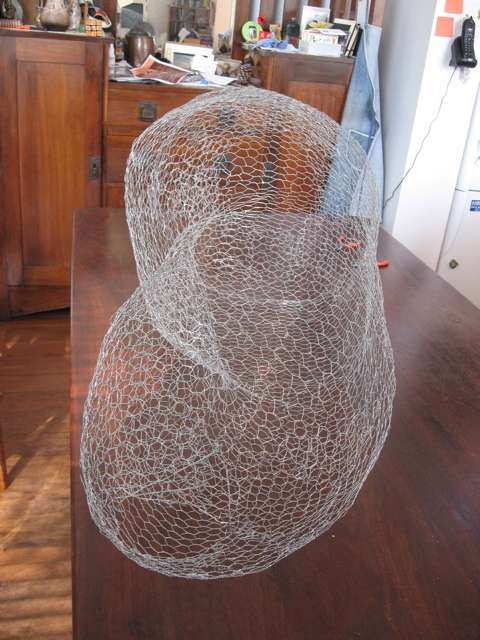 First wire lace panel completed. Installed under the sheoaks at Gomboc. 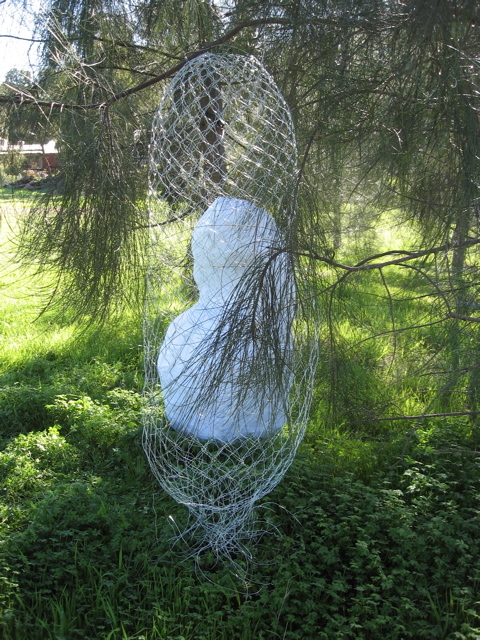 Gomboc Sculpture Park and Gallery is in Middle Swan, and the annual sculpture survey opens on June 6th. 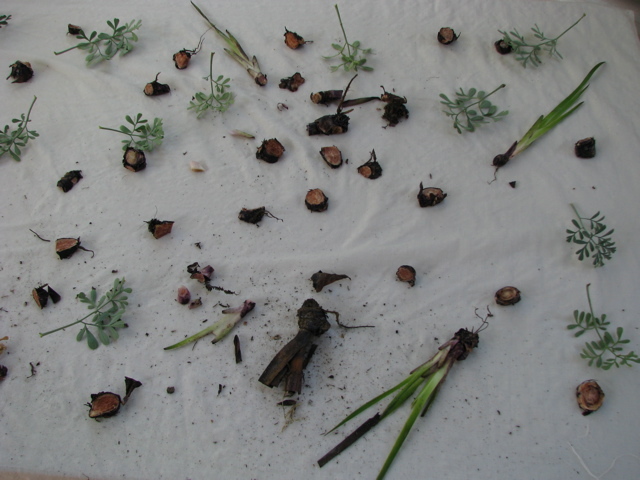 Looking for a distraction, and needing to stitch, I delved into the bag of materials and samples from John Parkes’ July workshop (see this link and scroll to the bottom). I had left the top R pinned, without stitching, as the fine brass pins looked beautiful with the transparent fabrics. 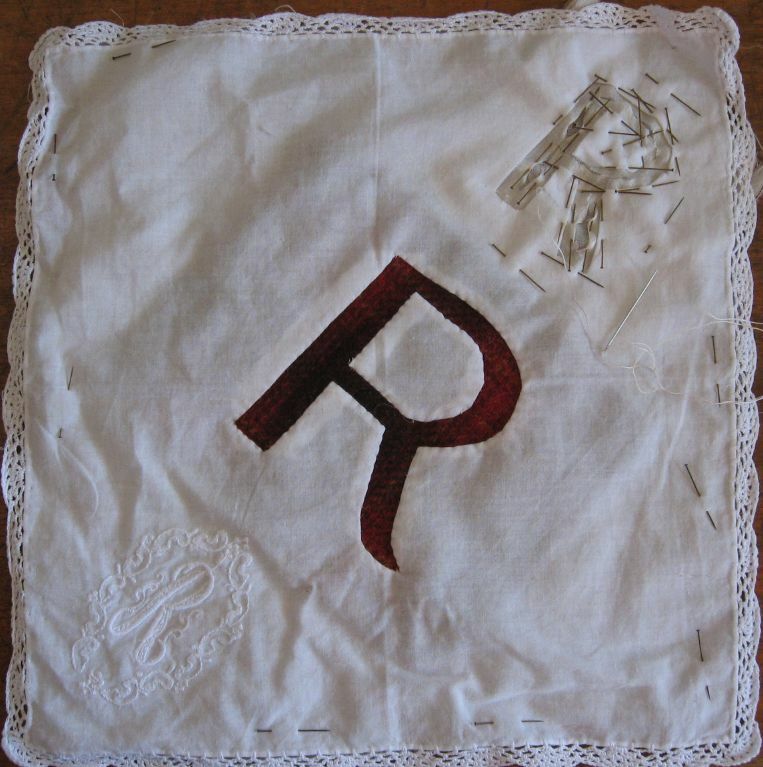 But now I’m going to stitch, both around the reverse appliqué and into the whole cloth. The hanky was a gift, the red fabric is thick wool cloth salvaged from my old dressing gown and there is also part of a favourite linen shirt and a fraying silk scarf. The colour and thickness of the red wool argues with the other materials, which feels appropriate right now. Lifting a dusty lid I found autumn’s pomegranates, well soaked. 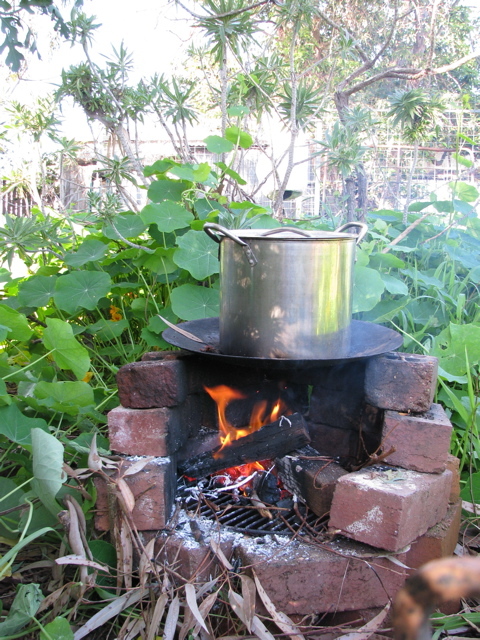 Fortunately the smell wasn’t too terrible. 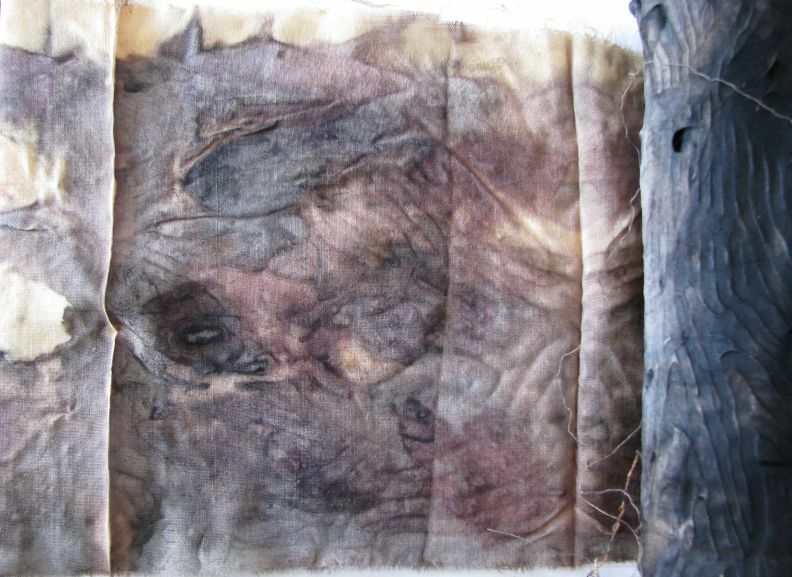 The resulting colour was dull gold on silk, but wool wrapped around a log with scavenged gum leaves (as learnt from India Flint) appeared ochre and dark grey and reddish purple.